In this episode of Be Better. I interview Monte Schienblum all about THE DRIVER. Monte is a great person to talk to about how to hit the driver effectively, he won the World Long Drive Championships (he has hit the golf ball over 400 yards in competition) in 1992 and is now golf coach to players on the PGA Tour. This is the first video in a series of upcoming videos all about the driver. 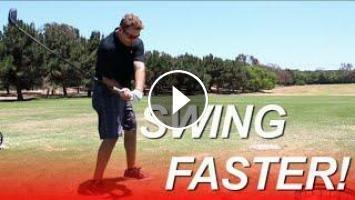 This episode is about clubhead speed, how to make the clubhead move fast. Also, Monte reveals the move he made on the one swing that won him the world championship and the irreplaceable key to building your clubhead speed. In future episode the Driver conversation continues and Monte discusses the proper sequence to smash the ball long, what should go first from the top, the 1 biggest misconception golfers get hooked into that wrecks their swing and more. Also Monte and I work on my golf swing and I gain 5 Miles per hour doing a modified version of his no turn and cast drill for the driver. The same move Justin Rose and Tiger woods have worked on.